While Freud may have engineered his own myth and many of his theories may have been disputed in the decades since his heyday, he remains one of the most influential figures in the history of psychiatry and psychology. And yet for many, Freud is more metaphor than man and his name summons only a vague idea of his work — “something to do with penises,” our marginally informed collective conscience might whisper — rather than a true understanding of just how profoundly he influenced contemporary culture, from our mechanisms of consumerism to our notions about the self. 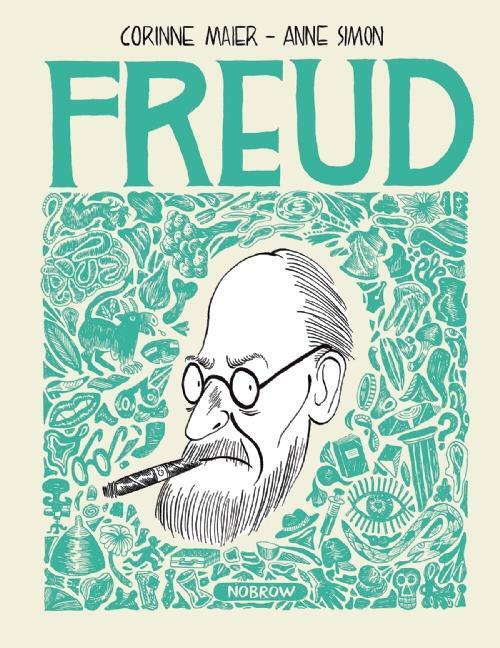 In recent years, the comic book genre has been applied to a wealth of graphic nonfiction for grownups, ranging from famous biographies to philosophy, but nowhere does the genre shine more exquisitely than in Freud (public library) — a magnificent biography-as-graphic-novel of the founding father of psychoanalysis by Swiss-born writer, economist, historian, and psychoanalyst Corinne Maier, illustrated by celebrated French cartoonist Anne Simon. Published by British indie press Nobrow — which also gave us Blexbolex’s brilliant No Man’s Land and some gorgeous illustrated chronicles of aviation and the Space Race — this unusual illustrated biography takes us through Freud’s life and legacy with equal parts scientific-historical rigor, sociocultural insight, and disarming wit, both visual and narrative.